I recently heard a story on NPR about new innovations to combat pollutants. The article mentions the use of aluminum panels on sides of buildings to absorb mass amounts of NOx. Breathing air filled with noxious pollutants can cause respiratory damage, allergies, and trigger airway inflammation and asthma attacks. Especially this time of year! Atlanta experiences the highest levels of smog from roughly May 1st through the end of September. While I am an advocate of reducing smog in any way possible, I think that there’s something to be said for addressing the problem preemptively. 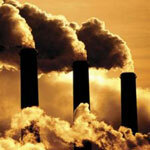 It is still imperative that we remember to reduce our emissions. Have you gotten your car smog tested recently? Why not walk to work today if possible? Your lungs will thank you this summer!